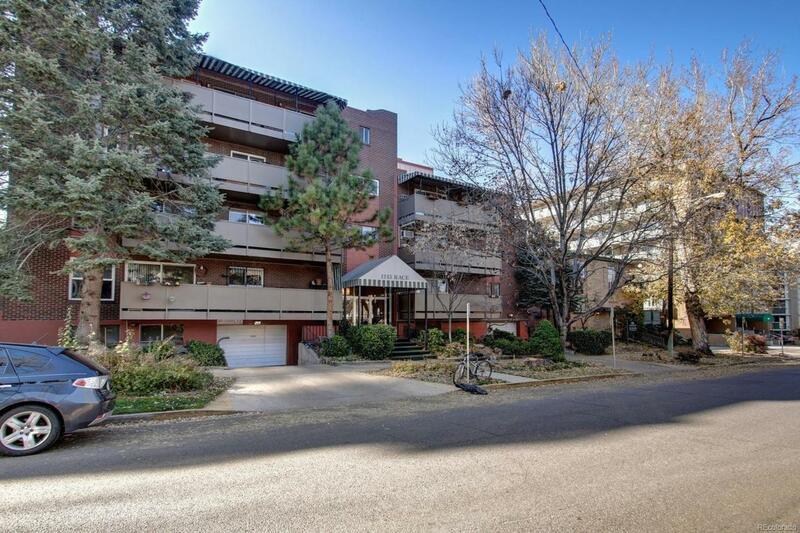 Fully updated condo on Cheesman Park. Location, location! New flooring, cabinets, quartz counters, stainless appl, custom tile. Layout feels bigger than sqft. Covered attached garage. Secured building. On site coin laundry available for residents and small storage unit in garage. Great opportunity to own in Central Denver for under $240k! Seller to provide concession for AC.